Your BMW will feel as if it has been reborn with new found acceleration and speed. Unleashes the full potential of your BMW. Approved by BMW, won't void your warranty. 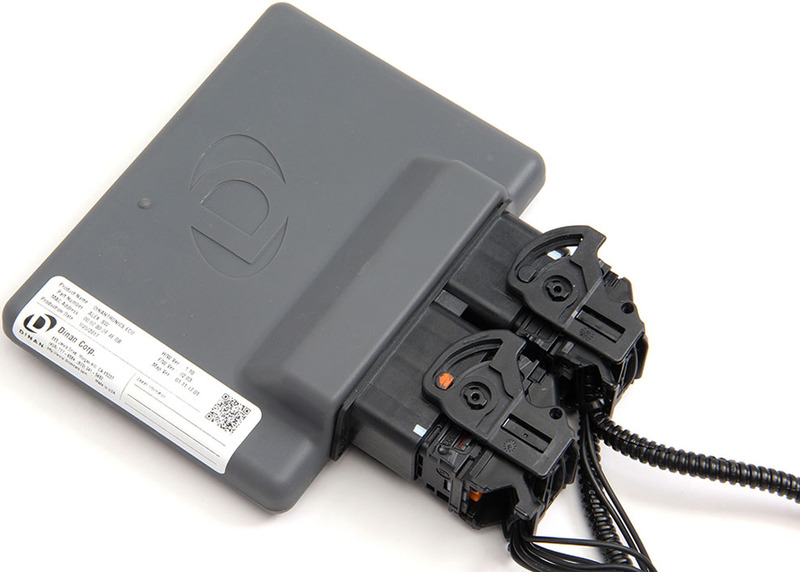 The DINANTRONICS Performance Tuner is a highly engineered piece of computer hardware and software that enhances engine performance to levels the stock programming is not allowed to venture into. It does this without negatively affecting your new car warranty coverage and without affecting long term reliability or the functionality of on-board diagnostic systems. It is also the only tuning device designed to be emissions legal in all 50 states. 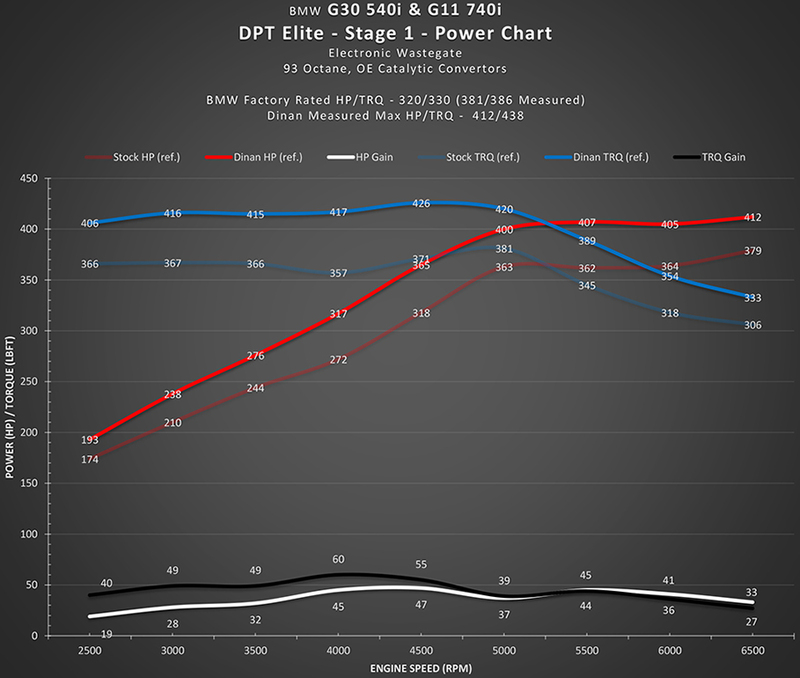 These items are unique to Dinan and together they embody the apex of performance engineering in a powerful, reliable, and warrantied package. 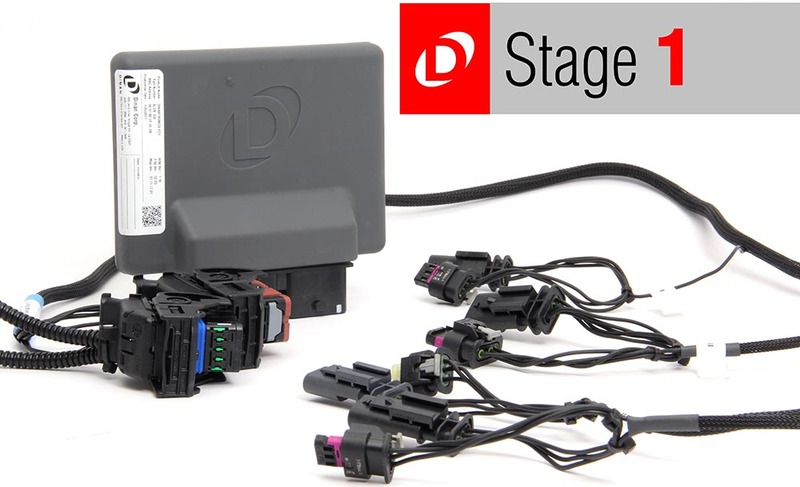 The DINANTRONICS Performance Tuner has the capability to correct short term trim as well as ignition timing errors induced by raising boost pressure. This enables Dinan calibration engineers to optimize air/fuel mixture and ignition timing at elevated boost pressure throughout the entire gamut of engine RPM and engine load. Additionally, the ability to correct short term trim corrections (the difference between target and scheduled fuel mixture) remain within OEM specifications. This minimizes knock sensor activity, which in turn means smooth engine performance, catalyst protection and power increase, while this is also required to make the car emissions legal.